According to Oprah’s Lifeclass, 24 million children live in biological father-absent homes— in the United States alone. And 1 in 3 children grow up without a father. Although a majority of these fatherless homes are found in lower income situations – that’s not always the case. This problem has also been reported to cross the economic spectrum – with men leaving because they’re having an affair – or going through some sort of empathy-lacking yearning for a childless freedom. 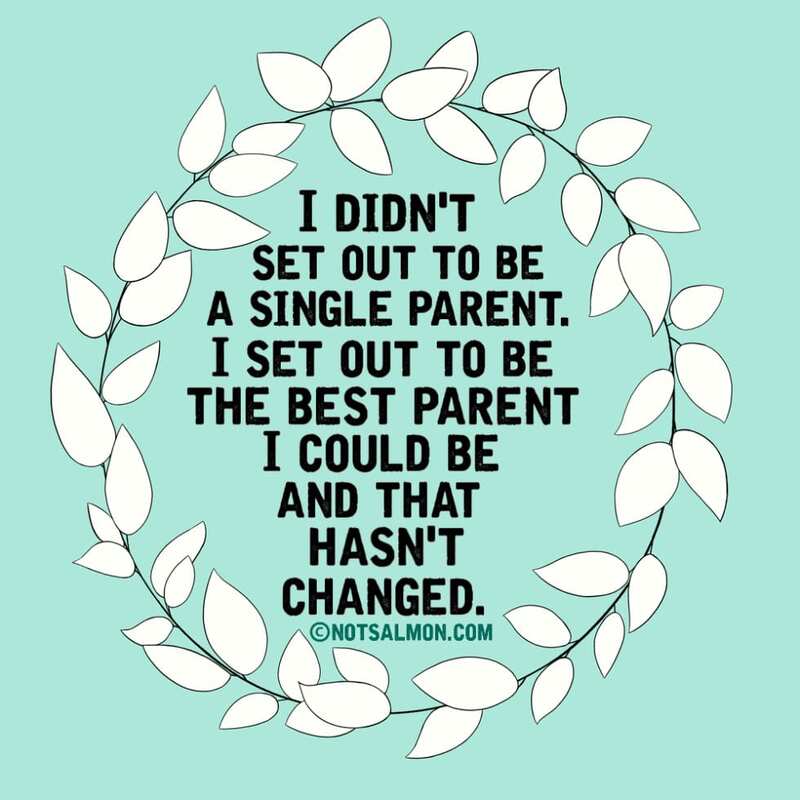 It’s one thing to be a single mother by choice. It arrives with a positive narrative to tell your child. It’s an “I wanted you so much” story – which safeguards a child’s ego. It’s a whole other everything to have single motherhood thrust upon you – because the father has chosen to abandon his child. The question remains: What do you tell a child who’s father has abandoned them? It’s a perplexing tongue-tying challenge. A verbal landmine. The mother recognizes the importance of telling a positive narrative – while also telling the truth. But, truly, how can there be a simultaneously positive and truthful narrative in answer to questions like: “Why does everyone else have a daddy and I don’t?” “Why did daddy leave?” “Will my daddy ever want to meet me or see me? If you’re a single mother due to abandonment, every day is filled with a myriad of challenges – not just verbal ones. But there’s one day in particular which is especially scary: Father’s Day. This day might as well be re-named Boogie Man Day – because it’s a day which you know brings up many questions for your child. Even if your child does not ask you questions out loud, you know your child will be extra-wondering about that unknown shadowy figure called father – or rather, never-to-be-called father. 10 empowering tools to help you and your child experience a happy safe-feeling Father’s Day. 1. Dr. Julie Gottman (from the awesome Gottman Institute) says if your kids approach you with questions about their father, it is important to “validate” them. She says to answer as best as you can. Make sure that the child understands that the father’s decision to abandon had nothing to do with who the child is. It is common for the child to feel guilty. It is not their fault. The father never got to know the child. They left NOT because they got to know the child and did not like them. They left to avoid the possibility of failing to be a father and/or they didn’t know how to be a father – or because they were on some ego-driven, empathy-lacking freedom ride. 3. Dr. Julie Gottman suggests you view your child’s expressions of emotion about the abandonment as an opportunity for teaching and sharing intimacy. Turn the questions back on your child. “What does this day mean for you?” “How does this make you feel?” It is then that you “validate” the child’s emotions. By validating, Dr. Julie Gottman means “empathizing with the child’s feelings and confirming that they have a right to feel that way.” After validating the child’s feelings, the mother can help the child to label them. Do you feel sad? Hurt? Confused? Dr. John Gottman reminds: “Providing words [to describe the problem] can help children transform an amorphous, scary, uncomfortable feeling into something definable – something that has boundaries and is a normal part of life… [something that] everybody has and everybody can handle” The mother should not try to talk the child out of their feelings. This will leave the child feeling rejected for feeling that way. accomplishments over the last year, 2) how they feel about their father loss, 3) how they are working to be strong and grow despite and through the loss. 5. Both The Gottmans and Gurian recommend identifying a father figure in the child’s life that they can celebrate an “honorary” Father’s Day with. This could be a mentor, an uncle, a male friend, a teacher, a coach, etc. Contact this father-figure to see if they would be willing to meet with your child on Father’s Day for a meal or fun activity – perhaps even a “guy oriented” activity – like a sports game. 6. Michael Gurian reminds that often children who have been abandoned need (and subconsciously want) to take care of other people, pets, etc. So, it is great if an abandoned child can be encouraged to care for a younger sibling, a pet, etc. Bonding/attachment can be difficult; practice may be required. 7. As a rule, experts agree that it is important to make a conscious effort not to “bad mouth” the father – but to stick as closely to the true story as the mother can. A suggestion: Take some quiet time to write out on paper some “go to” answers for the child –which are honest without being “bad mouthing.” In doing so, you can be clear on how to answer – and thereby not be caught in the heat of the moment without an emotionally healthful answer. qualities – like how he’s handsome, smart, funny, or talented at sports (etc…). In this way, the child can find some positive aspects of their biological father to feel connected to. 9. The mother should keep in mind (as comfort for herself) that if a man can be so conscience-less as to abandon their own flesh-and-blood child, that this man might have been a less than stellar role model in the child’s life. This man’s lack of compassion and over-loaded ego might have shown up in the family home in a negative way – which might have negatively impacted the child, by presenting negative core values. 10. The mother should also know in her heart that a child is basically in search of love – and a “loving, safe-feeling home.” The mother should do her best not to overly focus on the absence of the father – something she cannot control – and focus instead on what she can control: providing her child with lots of love, support, positive core values, and quality attention. Want tools to raise kids with high integrity and strong character? Click here for more tools!